The traversing of snow covered terrain on skis by humankind may be more than 5,000 years old. Skis dating back to 2,500 BC have been found in the Altai Mountains of Siberia, and a pair of skis believed to be 4,000 years old are in the Djugarden Museum in Stockholm, Sweden. The earliest skis were probably bones from large animals. The word "ski" is the Norwegian word for a type of snowshoe commonly used by the peoples of northern Europe. The Norwegian Sagas, written in 1,000 AD, describe Norwegian Vikings on skis. Skiing Norwegians scouted the movements of Swedish warriors during the battle of Oslo in 1200 AD. The Norwegians still hold an annual 35-mile cross country ski race, called the Berkebeinerrennet (the birch leg race) which commemorates the course taken over the mountains by the Norwegian king’s scouts as they escaped with the king’s royal heir. In the 1830s a young Norwegian man from Telemark, named Sonde Norheim, developed a way of turning on skis by pushing his uphill ski ahead of his inside ski. This technique became known as the Telemark turn, and its effect was to turn skiing from being strictly a method of transportation to being the beginning of a new sport. In the late 1800s, central Europeans, living near much steeper mountains than the Scandinavians, began to develop skiing techniques to control their downhill descent. Austrian Zdarsky introduced a crouching technique which included the use of a pole for slowing down and steering as he shooshed down the Alps on skis. Downhill skiing is now commonly referred to as "Alpine" skiing and cross-country skiing is called "Nordic" skiing. 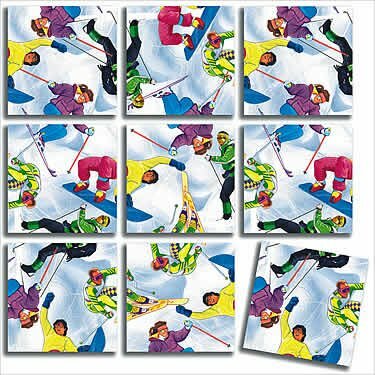 The first Winter Olympic Games were held in 1924 at Chamonix, France, organized by the twenty-six countries which had formed the Federation Internationale de Ski earlier that same year. The events in Chamonix included cross-country skiing, jumping, skating, hockey and a military ski race which has evolved to the present day biathlon. The Norwegians swept all skiing events at Chamonix and dominated the next seven consecutive Winter Olympic Games. The United States hosted the third Winter Olympics in 1932 at Lake Placid, New York. Americans were not known to have much familiarity with winter sports in 1932, and when the American skiers won six gold medals at Lake Placid, the world was stunned and Americans began their great love for skiing.